To kick off the new year I’m going to expand a little bit on something I’ve touched on briefly in the past- coming to terms with your autism diagnosis. As I’ve stated many times, getting my Asperger’s diagnosis was one of the best things that could have happened to me. Two little words clarified a lifetime of questioning, confusion and misunderstanding. My entire life finally began to make sense. Whilst this diagnosis was indeed a welcome one (in spite of the way my diagnosis was sprung on me 😛 ), I struggled to come to terms with it for some time afterwards. As an adult, the diagnosis shouldn’t have changed anything- Asperger’s syndrome explains me, but it does not define me. However, just because the shoe fits does not mean that you will break it in overnight. Logically, there was no issue in being diagnosed; the emotional aspect on the other hand was much tougher. Getting my diagnosis was like seeing myself for the first time in a mirror. It felt like I had made a revolutionary discovery, and yet somehow, I was ill at ease. The more I read about Asperger’s, the more self conscious I became of my mannerisms and behaviours. I was hyper-aware of everything that I did. There were times when I felt as though I were beginning to disappear behind the smokescreen of the diagnosis, constantly questioning what was me and what was just Asperger’s. Talk about it– Real original- I know, but if it ain’t broke don’t fix it! Hope that everyone enjoyed the Christmas break! Nothing like a few days of eating, sleeping and watching TV! 😎 Wow! I can’t believe it’s 2018 already- feels like only yesterday I was wringing in 2017! I’m getting old! January 2018 marks not just a new year, but also marks one whole year of blogging. ‘A is for Aoife not Autism‘ is officially one year old! We all have those moments where we retreat into ourselves. Our eyes glaze over, we tune out from our surroundings and make weird, subconscious facial expressions as we dreamily ride the thought train round and round. I’ve been known to spend almost an hour lying on my bed, staring into space without saying a single word to anyone! Once I’ve fallen in, my mind could literally go anywhere-I’ve even conjured up a musical based on the music of My Chemical Romance during one of these particular spells! What people fail to understand however, is that I am perfectly content in my little bubble. Yes I look strange, and my face may not show it, but I’m perfectly fine 🙂 In fact I sort of enjoy thinking, just floating around exploring the darkness of the abyss. It’s actually a little bit soothing in an odd way. Autists are not good with the unknown. We like structure, things we can predict and prepare for. By questioning, or pondering the unknown in our minds, this can help to make the world seem a little less scary. Knowledge is power after all! So this post might seem a little unusual, but as the difficulties faced by autists when it comes to haircuts has been doing the rounds on social media of late (for the record- I LOVE getting my hair cut! 😀 ), I thought I’d write a quick post about something small that I find a sensory challenge- trimming my nails. Once my mother stopped trimming them for me, I have refused to put a nail scissors or file anywhere near them (save for a manicure in 2005- an experience I have not sought to repeat! 😛 )! Don’t worry they aren’t freakishly long- I use my hands so much with my hobbies that they never seem to make it past a certain length! Trimming/filing my fingernails has always freaked me out. It’s really hard to describe, but for some reason it feels really wrong to me! There’s just something unnerving about nail scissiors cutting so close to the skin that it sends unsettling shivers up and down my spine. Nail filing in particular sends me into cringing convulsions-my hands are tensing up into balls just now at the thought of that abrasive piece of cardboard against my skin! Nail trimming issues are actually quite common among autists. This can be particularly troublesome if an autist is prone to skin picking or self injurious behaviours. Today, in continuation from my post exploring autism through the ages, I’d like to give you a brief intro into how we came to know of autism. 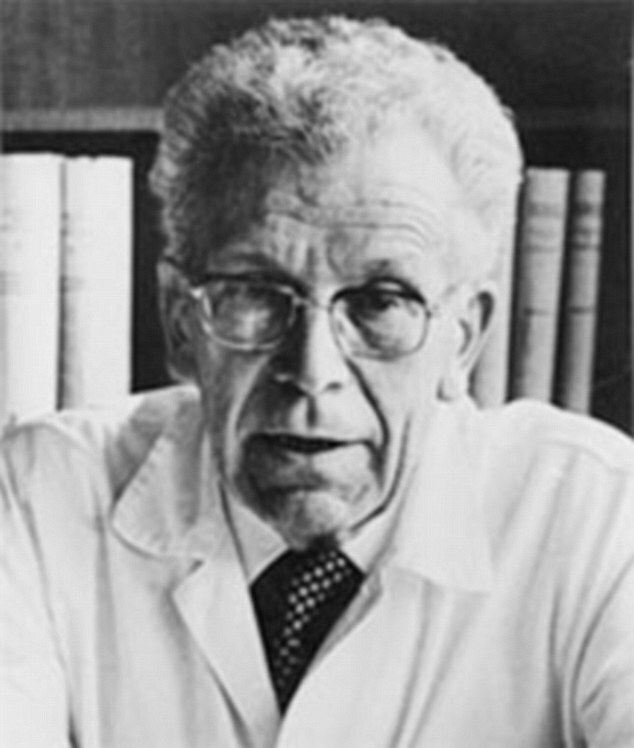 A long time ago in the land of Austria, two researchers were born that would go on to make medical history- Leo Kanner and Hans Asperger. Whilst these men interestingly did not collaborate, together their respective research laid the groundwork for our current understanding of ASD’s. Whilst some of the earliest documented cases of autism dates back to the 1700’s, the new Latin term autismus (“isolated self”) was first coined by Swiss psychiatrist Eugen Bleuler (who also coined the term schizophrenia) in 1910. Derived from the Greek word “autós” (meaning ‘self’), Bleuler used the term to describe a sub group of people with schizophrenia that were removed from social interaction. The term autism first began to take it’s modern form in 1938 when Hans Asperger adopted the term ‘autistic psychopaths’ in a German lecture on child psychology. During this period, Asperger was investigating the ASD which would later bear his name, examining a group of four boys of normal intelligence who struggled with social integration and empathy. Asperger dubbed these boys “little professors” due to their ability to lecture at length on their favourite subjects! Fun Fact: Asperger himself is widely thought to have displayed many of the symptoms of his discovery himself! In 1944 Asperger published an article in German titled ‘Autistic psychopathy’ in childhood, a publication which largely went unnoticed within the English speaking medical community until the 1980s when child psychiatrist Lorna Wing brought his work into the limelight. This obscurity was also due in part to the work of his contemporary Leo Kanner at the prestigious John Hopkins University in the USA, who pipped Asperger to the post with his paper Autistic Disturbance of Affective Contact in 1943. In this work, Kanner described a group of 11 (8 boys, 3 girls) socially isolated children with a “need for sameness” and a “resistance to (unexpected) change.” Kanner claimed to have discovered a new medical condition which he named “infantile autism”, garnering much attention and praise within the medical community. But was it coincidence that these men happened to work in tandem on such similar projects 4000 miles apart? In his lifetime, Kanner claimed that he had never heard of Asperger’s work, however, it would appear that this was not the truth. Author Steve Silberman has since discovered that Kanner likely heard of Asperger’s work through George Frankl- a work colleague from Vienna, and former chief diagnostician at Asperger’s clinic in 1938. Driven by an ambition to make his mark on medical history, it would appear that Kanner sought to recreate Asperger’s work in America, repacked it and claimed it as his own!! So what did these early researchers believe to be the root of autism? Difficult as it may be to imagine, Kanner firmly believed in something called the “refrigerator mother hypothesis“- a since (rightly) discarded theory which claimed that autism is caused by a lack of maternal warmth or love!!! In addition to this, Kanner’s reuse of Bleuler’s term autism resulted in decades of confused terminology where autism and schizophrenia were one and the same. Thankfully, the research caught up to give us a clearer insight into the physiological roots of autism (although it took about 20 years for the experts to catch on! 😛 ), leading to the establishment of autism (and later Aspergers syndrome in 1994) as a separate diagnosis in it’s own right in 1980. In this week’s post I’m going to briefly explore the history of autism. As autism rates increase, many people have come to believe that the condition is relatively new. Whilst the clinical term may be in it’s infancy, autism can in fact trace it’s genetic lineage back through millennia! Genetic research has shown that some of the key genes involved in the development of autism came from our shared heritage with the apes, predating the evolution from monkey to man (somewhere in the region of 7 million years ago). Other related autism genes are slightly more “recent” than this, having come into existence over 100,000-years ago. Whilst a third of autistic genes may come about through spontaneous genetic mutation, from this evidence we can see that autistic genes were inserted into the genetic code of our ancestors for a reason. Interestingly in ancient times, people that displayed autistic traits were in fact highly revered. 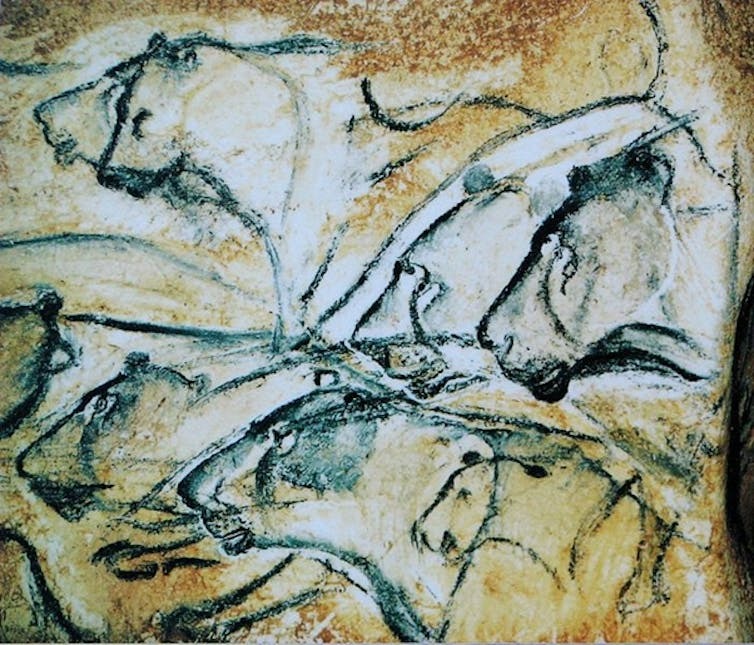 Such autistic traits as exceptional memory skills, creative thinking, observational skills, heightened senses and extensive knowledge in important areas such as plants and animals (i.e specialist interests), would all have been greatly valued in an ancient community. The incorporation of these skills within the group would have been essential to their survival. How often we focus on the negatives of autism that we fail to stop and consider the reasons these genes exist. If they were a hindrance to the human race, why have they not been eradicated through millennia of evolution? And she would be right! 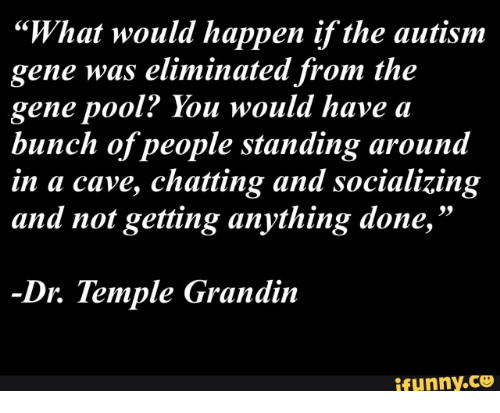 😉 Experts believe that autistic genes have been conserved to advance our intelligence. Variants of autistic genes have been linked to improved cognitive performance and the formation of new brain cells. Such talented historical figures as Michelangelo, Mozart, Beethoven and of course, Albert Einstein, are all believed to have shown signs of autism- but history remembers them for their esteemed achievements, not their genetic quirks. Something that we would all do well to think of when we commit autistic people to the annals of history in future. Today I’d like to explore something I’ve been wondering about a lot recently: can animals be autistic? We’ve often been told how closely related human and animal genomes are, but what about our brains? I often look at my German Shepherd and see a lot of autistic traits in him- he has ADHD and anxiety, behaves inappropriately, thinks creatively (he once buried a bone in a mattress) and never really grew out of his puppy brain despite recently turning 6! Naturally, I could be imagining it (as a scientist it’s hard not to over analyse), but what does the evidence have to say? In clinical research, there are a number of animal models which have been genetically bred to exhibit autistic traits including rats, fruit flys, monkeys and most commonly mice. These animals will have mutations in genes that have been linked to autism which causes them to exhibit some common autistic traits. In the mouse model for example, mice show signs of repetitive behaviours, deficits in social interaction and reciprocation, memory deficits and increased aggression. But what about in nature? There is very little evidence to suggest that animals can be autistic, however, a recent study by veterinary behaviorists in the USA has indicated that there is evidence of canine autism! In fact, vets have considered the possibility of autism like symptoms in dogs since 1966!! The 2015 study examined tail chasing behaviours in bull terriers in addition to running DNA analysis. These researchers found that tail chasing was associated with trance-like behaviour and random outbursts of aggression in these dogs. In addition to this, tail chasing was more common in males than females- just like human ASD’s. This group also suggested that the physical features of these bull terriers (long face, high-arched palate, and large ears) could be indicative of Fragile X Syndrome- a genetic condition where 15-60% of this population are additionally diagnosed with autism. This study is not definitive, but it does open us up to the possibility that autism may naturally exist in the animal kingdom. Did you know that between 40% and 80% of autists reportedly have sleep problems? I have spent many a restless night tossing and turning whilst my mind races. Like a washing machine on the highest spin setting, my mind keeps going round and around when I turn out the lights. I struggle to get comfy and start thinking and stressing about my day, about tomorrow, about that embarrassing time when I got an answer wrong in class and everyone laughed at me…and it keeps rolling on in a similar never-ending loop. The pillow starts heating up (did you know that thoughts produce heat? ), I start stressing about not sleeping and how soon the alarm will go off, get frustrated and inadvertently end up even more awake than before! But why are we prone to disturbed sleeping patterns? Melatonin, the hormone which controls sleep and wakefulness, is thought to contribute to sleep issues in autism. The amino acid tryptophan is needed for the body to produce melatonin, an amino acid which research has shown can be either higher or lower than normal in people with autism. Ordinarily melatonin is released in response to darkness (to induce sleep) with levels dropping during daylight hours (to keep us awake). However, studies have shown the opposite in some autists, where higher levels of melatonin are released during the daytime and lower levels at night. So that explains why I’m often inexplicably dying for a nap in the middle of the day! So what can you do to improve your sleep? Weighted blankets are often recommended to help manage autism. As I’ve discussed previously, autists have higher levels of stimulatory neurotransmitters and lower levels of calming neurotransmitters. Weighted blankets contain metal or plastic beads in the quilted layers to apply deep, calming pressure to the user- like simulating a hug. This pressure is designed to stimulate the release of serotonin (which helps regulate the sleep cycle and temperature) and dopamine to relax and calm the mind and to better help us to sleep. Some studies have shown that weighted blankets do not noticeably improve sleep for autists, however many people, neurotypical and neurodiverse alike, have found that they get a much better night’s sleep from using them- so it’s worth a try! Personally, I’ve discovered that using screens too close to bed time can make it harder for me to nod off at night. Scientists have found that the blue light emitted by most screens can interfere with the production of melatonin, making it more difficult to fall asleep. If melatonin disturbances are indeed contributing to your sleep issues, it would be wise to decrease screen time in the night time. Experts also recommend avoiding caffeine, getting more exercise, establishing a routine and taking measures to manage stress. Sleep will come, you just have to find what works for you.